Excitement is building as we count down only three more days to our fabulous Babyology Baby Shower High Tea, and here’s today’s prize reveal. Mums know all too well that the phrase ‘don’t cry over split milk’ was never uttered by a woman who has spent precious time expressing breastmilk. 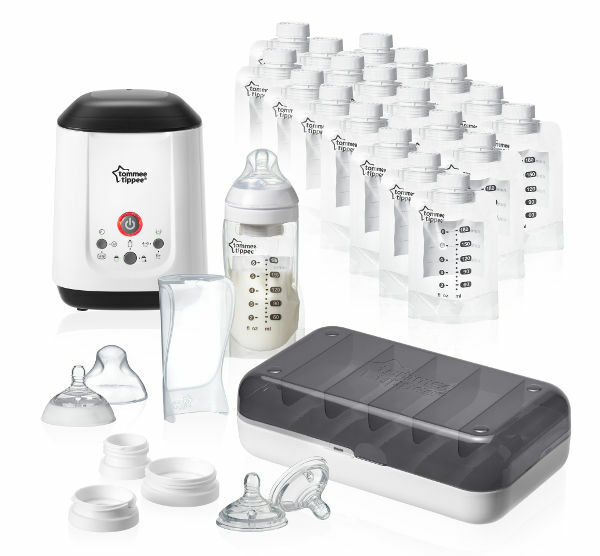 The brilliant Tommee Tippee Closer to Nature new Express and Go Complete Starter set we’re giving away ensures that not a drop of breastmilk is wasted. The Tommee Tippee Closer to Nature set contains absolutely everything a mum needs to express, store and feed breastmilk. This haul is worth $520, and is just one of the amazing prizes we’ll be giving away at our high tea event. Our Baby Shower High Tea is sold out, but you can still join the party via Facebook this Sunday, 23 August, as our event sponsors shower everyone with lots of exclusive offers. Check out Babyology’s Facebook page between 12pm until 5pm where we announce all the details as the event takes place. And stay tuned for more prizes from our High Tea event.